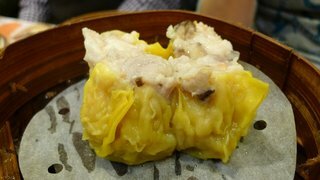 Twice during my trip to Hong Kong, I enjoyed dim sum at Tim Ho Wan, the (world’s least expensive) Michelin-starred restaurant founded by former Four Seasons Chef Mak Kwai Pui. 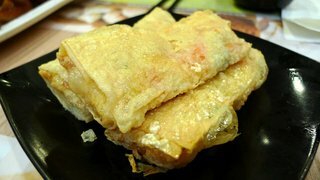 The first time was at the original Mongkok hole-in-the-wall location, which closes the end of January to move across Kowloon at Olympian City. The second time was on my final morning at the newer location one floor below the Airport Express check-in lobby at the International Finance Centre. The crowd that gathers (and waits for hours) outside the original Tim Ho Wan location. I am sure that the neighboring shopkeepers are thrilled that this crowd will soon go away, as I suspect few of the dim sum customers, many of whom are non-locals, shop at the neighboring businesses. The inside of the shop seats perhaps two dozen people. That was part of its charm, but what was a hidden treasure has spawned three branches, each much larger. It seems that the magic of the hard to find gem of a restaurant is gone, replaced by the desire to cash in on the popularity. Above, a full house within five minutes of starting service for the day, with another full round of customers waiting outside. One of the nice things about Hong Kong is the Airport Express train. What makes it so nice is that for most airlines, you can check in up to 24 hours before your flight. The agents tag and collect your luggage, leaving you free to roam the city until it is time to head to the airport, unencumbered by heavy bags. I checked in for my flight at 8:00 am, more than five hours early. Ten minutes later I was downstairs in front of the restaurant, the first person to arrive. I opened my iPad and settled in for a wait. Slowly, other customers arrived and formed a queue behind me. At 8:50, Gary, Rudy, and the other Xangans arrived so we were the first seated and snagged a nice table with great lighting. 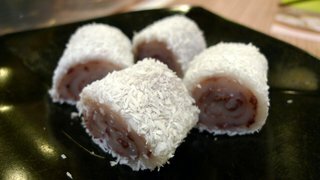 Since I have written about the original location and the second location before, I’ll just share pictures of the food. While there are some folks who complain that the food at the branches isn’t as good as the original, I think they are carping mostly to make themselves sound superior. The food at the branches continues to be very high quality and the additional seats means that the wait is shorter. As I observed, having arrived early, the kitchen staff is still making everything by hand and that quality and attention to detail is clear when you eat the food. As we finished our meal and I headed to catch the train to the airport, the crowd had grown even larger. As you can see, it is a first or last stop for some people who are going to or coming from the airport. A very convenient location and perfect if you have a long layover and crave some world-class dim sum! 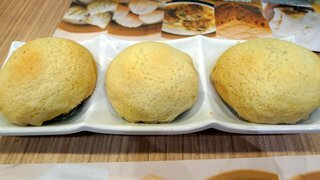 This entry was posted in Uncategorized and tagged airportexpress, dimsum, Dining, food, hong kong, ifc, Restaurant, tim ho wan by christao408. Bookmark the permalink. Waiting hours for the ORIGINAL DIM SUM! Awesome! It reminds me the time when I was a student and we had a trip to Italy where we saw groups of people waiting outside of one this pizza restaurant for the ORIGINAL MARGHERITA PIZZA. I thought at first those were tourists but half of them of local people themselves. I cannot imagine to wait hours for food cause I might starve to death right there! LOLI looooove Dim Sum! Yummy! 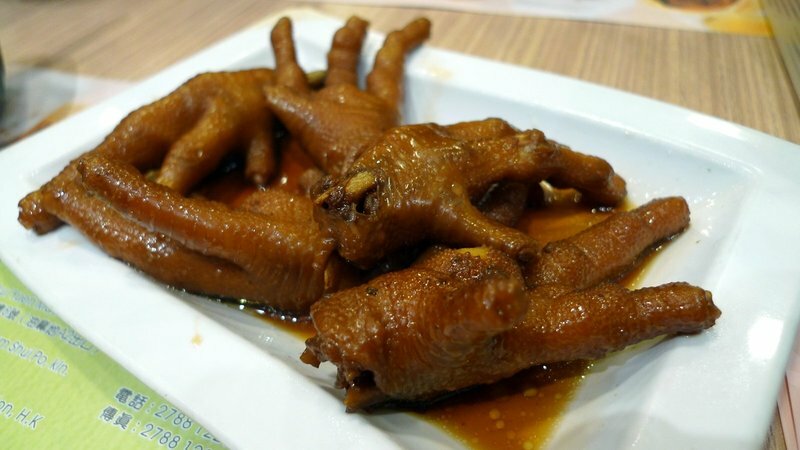 Just saw those chicken feet – my grandma make the best of that! Slobber! I hope the desire to expand does not overcome their desire for quality food. I have seen to many good small restaurants turn into large mediocre ones. 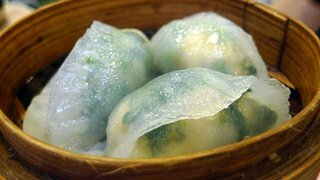 I happen to love Dim Sum!! i see me!! now why was i looking downward? ;( anyways, miss this meal already. a branch or the original location, they both tasted good to me. 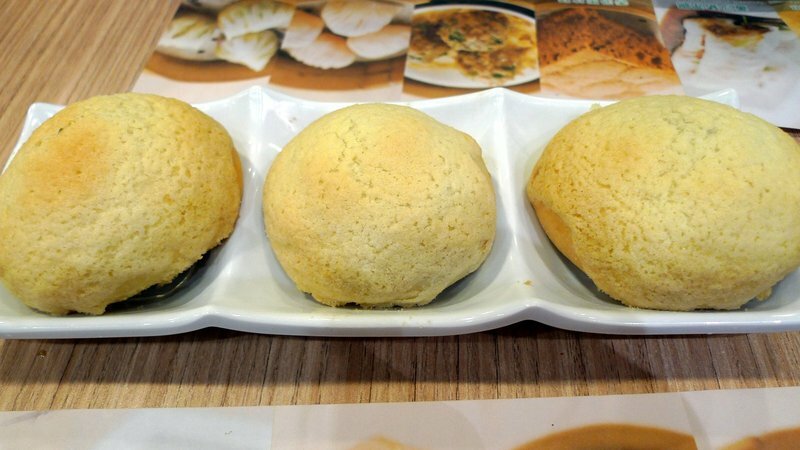 thank you for introducing the famous baked bbq pork bun. yummy. 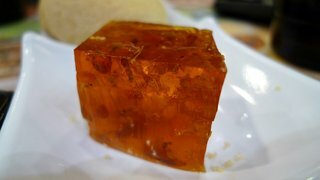 and finally, i got to eat some osmanthus flower jelly. 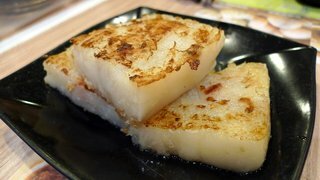 was looking forward to having some of that in HK and forgot about it until you ordered it for us. I’m glad to have tried the IFC location, and I can say the dim sum tastes the same as the other branches, though I’ll miss the cozy atmosphere of the original hole-in-the-wall Tim Ho Won! Thanks for securing a spot and being the first one in line! Haha~~We ordered a lot of dishes and all were very delicious, and it was the most reasonably priced Michelin Starred restaurant in the world, what a great deal! 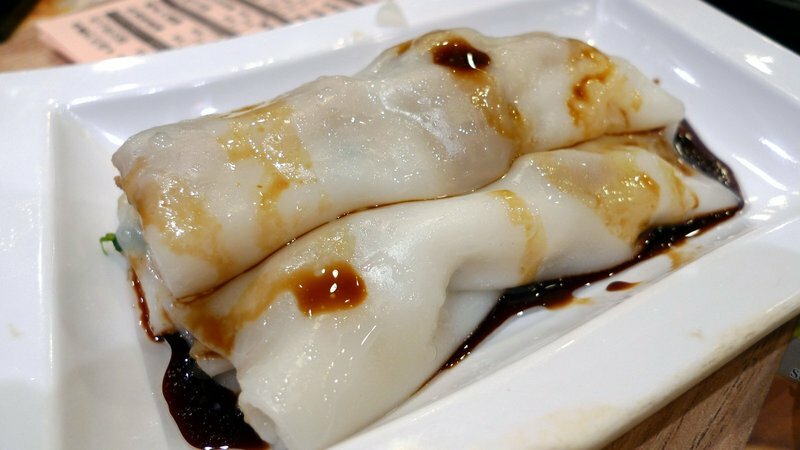 Funny how I’ve been thinking about dim sum lately and this post is making it that much learer to me how I got to try them-out some day! Great description and pictures. Thank you for sharing! Reading one of your posts is like marriage. Takes a lot of commitment, but well worth it. 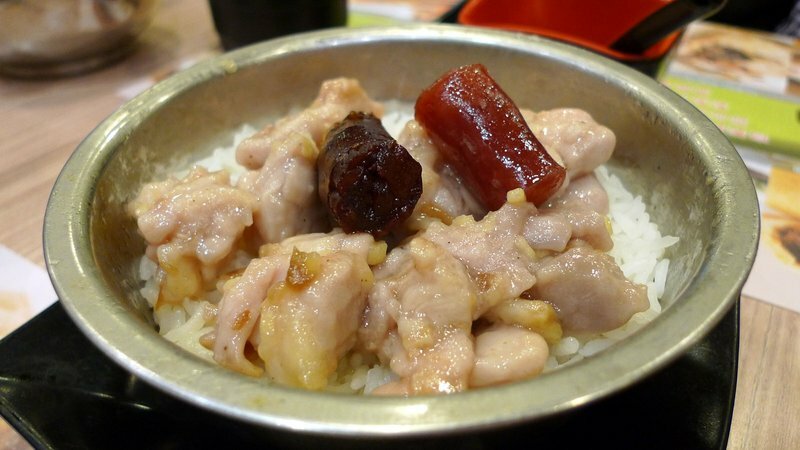 I’d been following your recent blogs about food in HK with great interest as I might be there in April/May. I didn’t crave it until I saw this post. Now I do. The only place I’ve ever had dim sun was San Diego. I know this can’t compare, but there used to be a Chinese restaurant in Belmont Shores near Long Beach. It only seated about 20, but people would line up for blocks waiting to get in. Of course, this was in the 40’s and 50’s when it was about the only Chinese restaurant in town. Yummy. i had sushi tonight. It was good but I’m wondering what the last row middle photo is. It looks like orange jello… I’m curious. @Grannys_Place – Thanks for the recommendation. 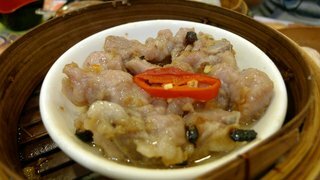 The restaurants in Hong Kong, like the restaurants in New York or anywhere else with very high real estate costs, tend to be tightly packed. In this case, they even seat you with strangers to ensure the talbes are full. It doesn’t particularly bother me, especially as meals at this restaurant are not lingering ones. @rudyhou – Thank you for the recommendation. So glad you enjoyed the meal and it was a pleasure to visit both locations with you. I guess we have two more to hit on the next trip plus the new Olympian City location. 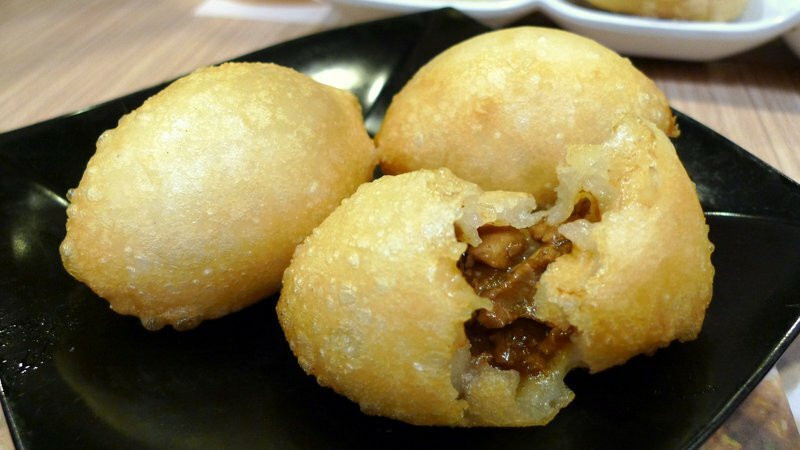 @CurryPuffy – Your opinion about the comparative quality is very highly regarded, Gary. @murisopsis – Osmantus flower jelly with goji berries. @grannykaren – Fantastic – when did you go? @ata_grandma – I imagine that nowadays there are plenty more options, huh? @armnatmom – Had I not been traveling with someone who had never been, I would not have waited that long. However, for a really special, very unique meal I would be willing to wait an hour at least. There is something to be said for delayed gratification. @Fongster8 – Be sure to check out Gary’s entries, too. He covers a lot of places I don’t get to. His site is at http://www.xanga.com/currypuffy. @Inciteful – A true compliment. Thanks. @nov_way – @secade – It is time for some dim sum! @Fatcat723 – It seems the chef is being very careful to ensure quality, with him hiring two head chefs for each location who invest in the project. Everything is made on site each day to ensure freshness. @SherryAngeLMysteriez – Thankfully, when we got in the queue we had only recently finished breakfast. If we hadn’t had the long wait, we wouldn’t have been hungry when we were served! Not sure if I can wait that long. But I do enjoy DimSum. Every single time we go to CA, that’s one place I always want to go in the China town or other venues which serve it. @christao408 – olympian city location? what’s over there? @rudyhou – Large mall and huge (8 tower?) housing development on top of the Olympic MTR station. @christao408 – oh i see, i see.